Growing up as a child, it was every kids dream job. The chance to learn responsibility, and most importantly to be able to earn money in order to buy things on our want list. And growing up on a farm, I was SO envious of those city kids, and particularly the ones who held down paper route jobs. For the city kid, these jobs were very hard to get, but once they got a route, they had it made. To work only a handful of hours a week, and earn money to save up for incredible items such as a baseball glove, a pup tent, or if you are disciplined enough to not spend anything along the way, perhaps you could buy one of those fancy bicycles in the Simpson Sears catalogue. Easy credit was just not available for paper boys. Vintage picture of a newspaper carrier job. Image source. Even as “country kids”, we had our own way of making money. Scouring the country roads looking for refillable pop bottles that people would throw out of their cars was very popular. For every empty pop bottle returned to the local General Store, I would receive 2 cents. If I brought 10 bottles back I would receive 2 dimes. If I brought 50 bottles back, I would receive a dollar bill. But I had a major dilemma that was eating me up. The bicycle I wanted was $45, and in order to get that bike I would need 2250 bottles. I explained to my dad that this was literally impossible. With other country kids scouring the country roads looking for those same pop bottles that turned into cold hard cash, there just was not enough bottles to be found. 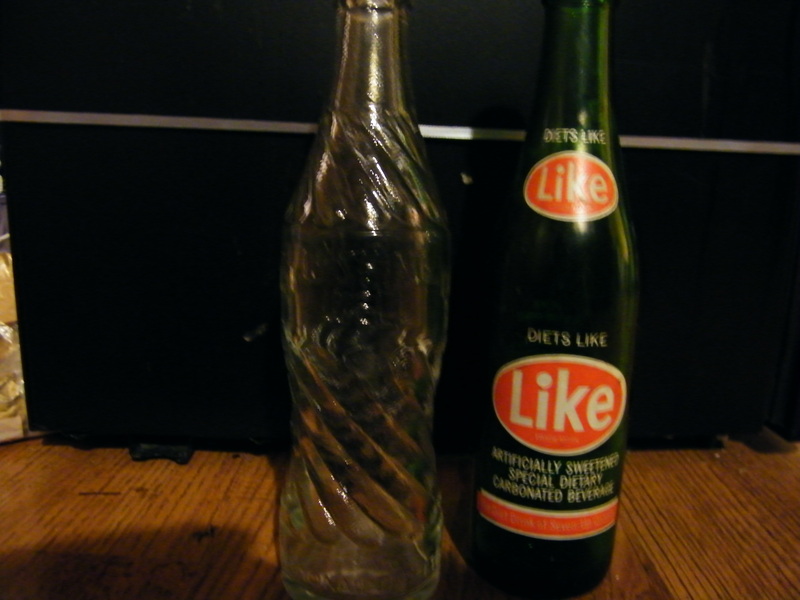 For nostalgic sake I got these vintage pop bottles at a garage sale last summer. What I used to get 2 cents as a bottle return 45 years ago, now is worth $2.00 and up. My dad understood my predicament. So he got my brother and I to hoe his potato crop for weeds. We had 15 acres of potatoes on the farm, and so he got my brother and I to hoe the potatoes for weeds over the summer holidays. For my dad it would have been a win-win situation. My dad would have weedless potato fields without any spraying for weeds, and my brother and I would learn the value of working for a dollar. 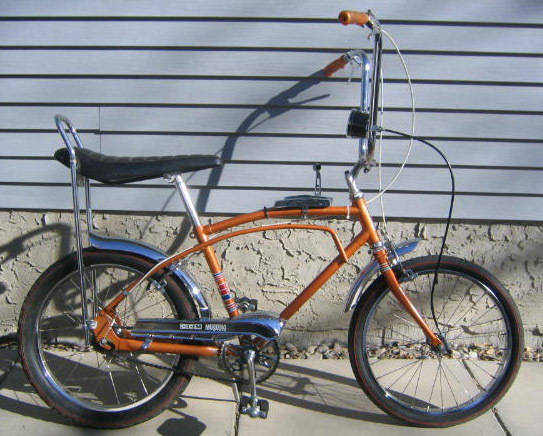 It was extremely hard work, but with the 10-15 cents a row (depending on the length), I was able over 2 years to save up and buy my very own bicycle out of my own hard earned cash. It was a 3 speed Mustang with “monkey bars, banana seat and a sissy bar”. How I loved that bike and was so proud of it, because I worked for it. A bike similar to the one I owned, a CCM Mustang. Loved it, and how I wished I still had it. These bikes are now highly prized and collectible. A restored bike as this is worth several hundred dollars. Image source. Fast forward a couple of decades. I am married, starting a family, and have just moved into a small country village. As a new father I was awestruck yet overwhelmed of the road that laid ahead. What values was I going to teach my children? Would there be much opportunity for my children here in this village? Yes, there were glorious opportunities here. There were paper routes, BUT would my kids ever be given that chance. 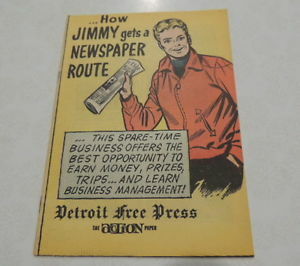 It was every kids dream job, so paper routes were extremely hard to get. Who could ever pass up the opportunity to work for some money and buy the things you want. Once kids got their paper routes, they did not ever want to give them up. 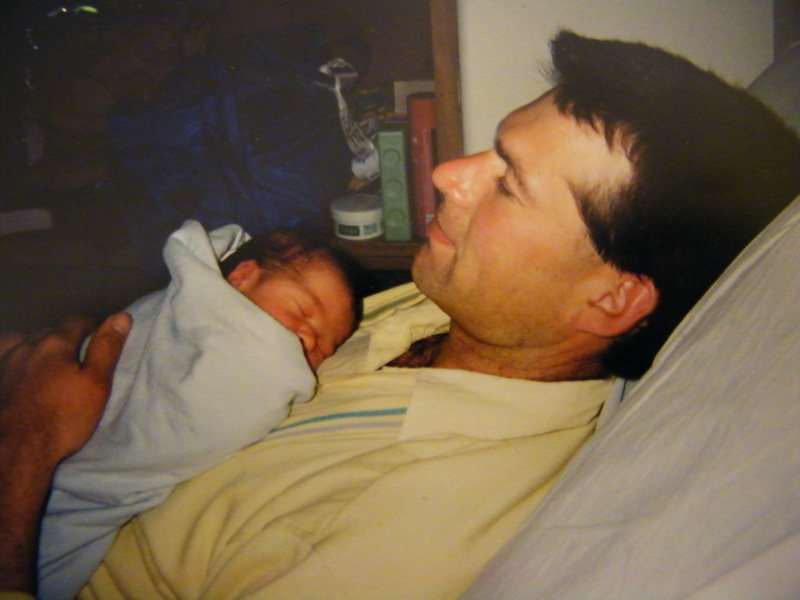 From the archives (over 21 years ago) when my 2nd child (oldest son) was 1st born. He is now a strapping 6’6″ young man who works in a machine shop. Parenting is such an enormous responsibility. Praying for God’s strength and guidance in raising this precious child. Then news came around that shocked the community. A paper route vacancy had come up in our village of Hillsdale. But sadly our kids were only 3 and 1, way too young for their own routes. Unsure if this opportunity would ever come around again, my wife decided that she would try out for this position, and if she got it, she would hand it down to our children when they got older. She is sheer genius. 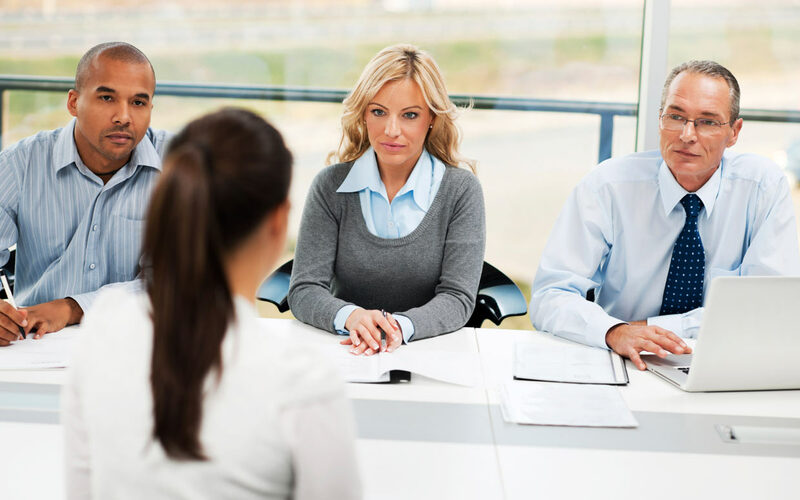 Knowing this was going to be an extremely tough competition, she polished up her resume perfectly, and refined her job interview skills to convince her interviewers that she was right person to fill the vacancy. And she got the job. The job interview. I can’t imagine my wife’s interview was this intense, but she did get the job! 🙂 Image source. Her first day on the job was her orientation. She was the only adult carrier in a room full of about 50 kids, where they learned the rules and requirements of the job. There was much responsibility. Flyers had to be individually sorted and inserted into the newspaper, then everything rolled up neatly and tied with an elastic. Delivery was right to the door, out of the weather, standing it on edge and leaning it against the house. No cutting across people’s lawns. Everything HAD to be done by 6 P.M. sharp on the 2 delivery days, Tuesday and Thursday, because stores had their sales that start 1st thing Friday morning. The newspaper was to be delivered before 6 P.M. Tuesday and Thursday to each house, placing it on end immediately beside the door. The job was much more labour intensive that I expected, mainly because of the sorting and inserting of flyers. Sometimes up to 30 flyers had to be sorted, with each of the 36 papers receiving one of each flyer. But as we got more efficient , the sorting part did become quicker. This was going to be a great opportunity for our children. And eventually it did come the time when the oldest 2 children could take over the route. Because they tagged along mostly with my wife Lynne for those few years, it was an easy transition. As time went on, it seemed that more and more routes were being given up and becoming available. It seemed that paper route delivery was losing it’s lustre. I don’t know the reason. Perhaps the attraction of video games. Or maybe instead of working to earn money to buy something, kids were simple given the item they wanted from their parents or grandparents, or the money needed from Christmas and birthday gifts. In order to make the paper routes easier and more appealing, the publisher had the papers come pre-sorted with all the flyer sorting done. All we now had to do was roll them, stuff them in the bag and head out the door. It made the job SO much easier. The hardest part had been the sorting, and it was now all done with the same pay of $35 a month. With the sorting now done it would take about only about 4-5 hours a month to make the deliveries (less than half the time as before). The hardest part of the paper delivery job was sorting and inserting flyers. As our children got older our youngest 2 took over the route, and then the youngest by herself. For the last few years we were the only hand delivered paper route out of the original 8 routes in all of Hillsdale. They were never able to find replacement newspaper carriers. There was constant advertising trying to recruit new newspaper carriers, and flyers were inserted into the papers looking for paperboys and papergirls, but it was a job no kid wanted anymore. All the other routes had their papers thrown out the window of a moving vehicle. Sometimes the paper rolls into the ditch. In winter it would be buried in the snow, only to be “discovered” when it jams in the snow blower, breaking the snow blower in the process. The driver was just doing what he was supposed to do, and the responsibility was on the homeowner to find the buried newspaper before they started to snow blow. In one last attempt to attract new paper delivery entrepreneurs, the publisher reduced delivery to Thursday’s only, but there were still no one interested. Eventually my youngest daughter stepped down from her paper route. She had gotten extremely busy as a much wanted babysitter in our village, and I was very proud of her. My wife then decided she would take back the route she started 19 years prior. She would get some exercise (and the $400+ a year for her efforts was not too shabby either). 🙂 About 6 months later the person who dropped off our bundles for many, many years resigned. He was also the person whom those last few years delivered the other 7 routes by throwing the paper out of his car window when the other routes were not filled. The new driver did not want to drop off bundles at our place, but wanted the route himself. As a result, my wife got a notice from the newspaper publisher that her job would be terminated. After nearly 20 years of faithful hand delivered newspaper delivery on our street from my wife, all 4 kids, and now back to my wife, the paper girl’s job had become redundant. 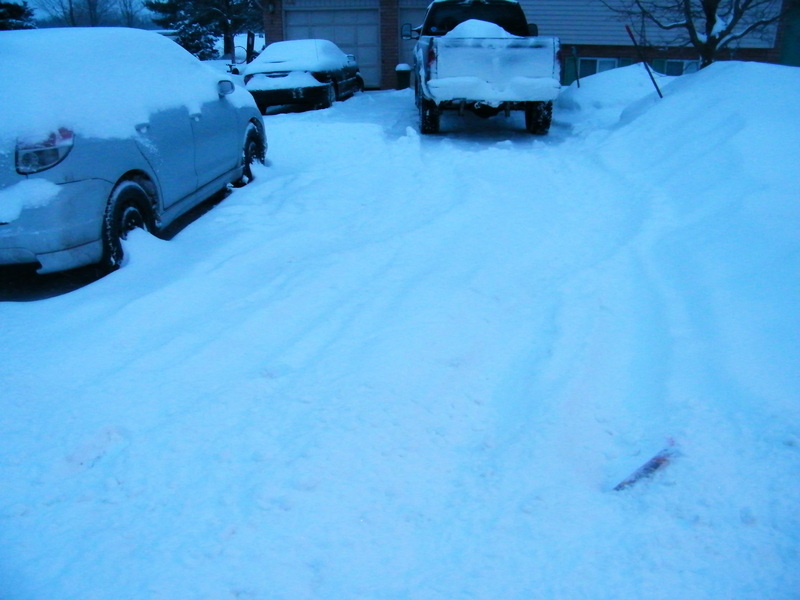 Having the newspaper buried in the snow is a major issue for those homeowners with snow blowers. This one is only partially buried on the right. 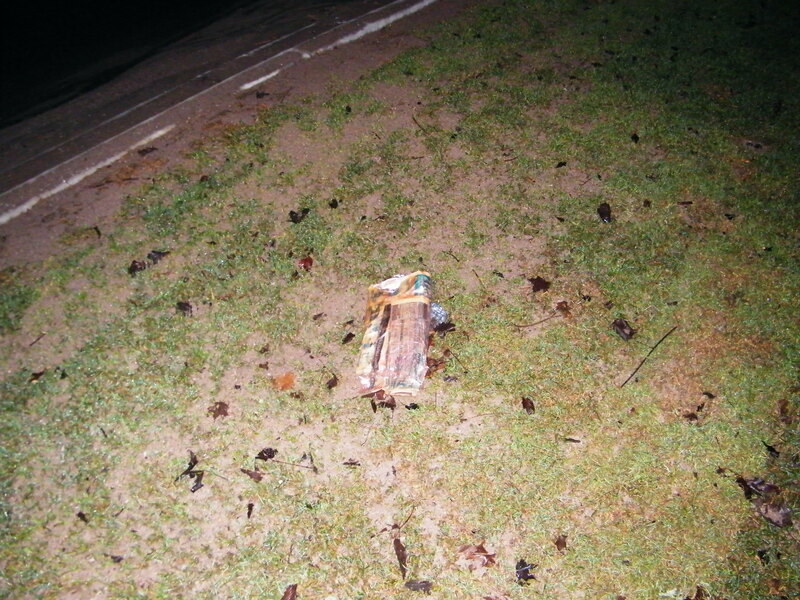 If the newspaper ends up in the ditch, you will not likely find it until spring. It was a very sad day indeed to read that termination letter. More than likely there will never again be door to door newspaper delivery from entrepreneur paperboys and papergirls in Hillsdale. But when I look at the positive, the paper route had served it’s purpose with all 4 of my children. I was glad they had that opportunity and I am SO proud of the young adults they have become. Hopefully there will be something for the next generation to learn the value of money. Are there still paper routes in your part of the world? What was your first job where you earned money? Were you a spender or saver? Is there anything you used to have as a kid, that you wished you still had? We have someone drive by and fling a Spanish-language paper at our house once a week, presumably because the folks who own the house have a very distinctive Latino surname. What an amazing well described comment Deborah. I am picturing it all in my mind. And such a mature decision at an early age to decide the aggravation of it all was not worth the money. Papers are delivered in most of Australia by the throw from the window of a moving car. Then the home owner’s job is to discover what nook and cranny the paper has lodged into. I no longer have the paper delivered because I read the news online – less and less people are receiving home delivery. 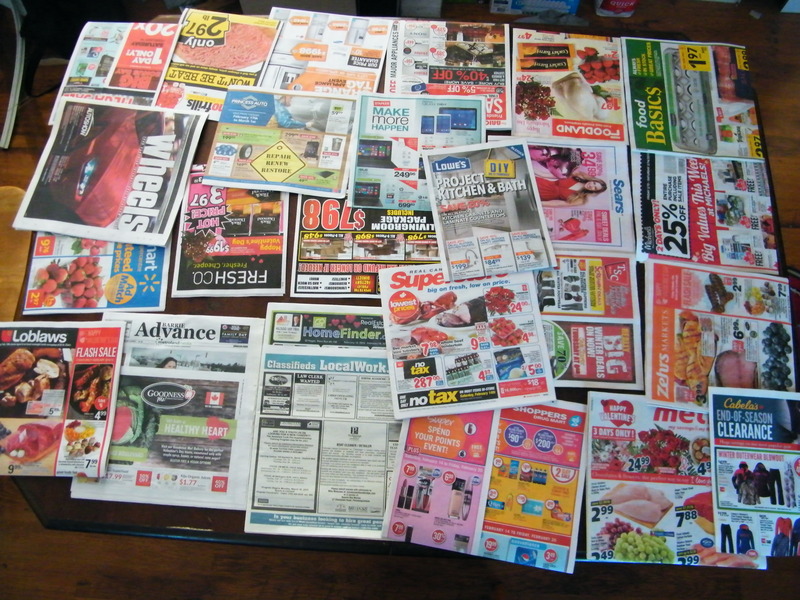 Workplaces typically buy a paper which is shared around. Cafes and restaurants typically have the papers for customer reading. So less papers are being purchased. I wonder if in my lifetime I will see the end of print newspapers, not just the end of paper routes. When I grew up, paper routes were only for boys so I never gor a look in. It was doing household chores that got me a little money. Thank you so much for taking the time to read and comment. What you are describing in Australia is pretty much similar in Canada. The paper delivery we did in our family was a free local paper, but for national and international news I read it all now on-line. And as more and more people do read on line, it could indeed be the end of print newspapers in the near future. Everything is profit driven, and if the profit is not there for a company it will be axed. I will also read some magazines online. My wife reads books that are often now digital. I am sincerely sorry to read about the gender inequalities even regarding paper routes for you growing up. There has been improvements in our society, but we have such a long way to go. Thanks Carl – and side note story on the paper topic -my nephew once took a paper job and then got super busy with sports and life and so my sister (his mom) helped him with delivery – and she has some fun stories of the neighbors seeing her drop off their paper! Just funny! And I liked the picture of the paper on the highway! Thanks Yvette, yeah there are the stories. I have done the route numerous times over the years for my kids when sickness, sports and life sometimes interferes, and there were often some laughs. We still have the paper delivered daily here. My first real job was as a lifeguard. I was 15 and worked part time all the way through nursing school. Growing up on the farm I was very much a saver. Oh and I had a very similar bike! And Sue, that is so incredibly amazing that you were a lifeguard at 15. I could not swim then (and still cannot swim). I guess it is for people like me that there is lifeguards…haha. But I am trying to learn to swim at the pool at my gym. You are very generous Carl. Just to clarify my parents helped with my school costs too so I was very fortunate. Have a great weekend! Thank you Carl. It has been a wonderful career and provided many life skills. I feel very fortunate. I had a paper route and my son had one, but I think it is hard to recruit teenagers to that kind of hard work at a measly pay these days. You are so correct. It is definitely harder to recruit teenagers. Where I live there was very few job opportunities, and when my kids did find something else (such as babysitting), they stepped away from their paper route responsibilities in no time! Sad though to think about the lost jobs of paper delivery. In my neighborhood it’s all done by car as well, usually by adults. I think too and or variety of reasons that kids today are not as interested in earning extra money. Many of them don’t need it and unfortunately their parents don’t feel installing good work values is a priority. Not all families are like this of course but it does seem society has lost something valuable and the demise of paper delivery by kids is a sign of this. Thanks for the thoughtful post Carl! Loved reading your comment Tricia. Sounds like you had a wonderful upbringing and parents who really made a conscious effort to instill responsibility and work values. On my farm growing up I never had the opportunity to host a lemonade stand, but it always warms my heart when I see a very young entrepreneur these days providing thirst quenching lemonade on a hot day. It is nearly always at a family yard sale nowadays where they have their stands set up. And SO cool that you also shovelled snow. 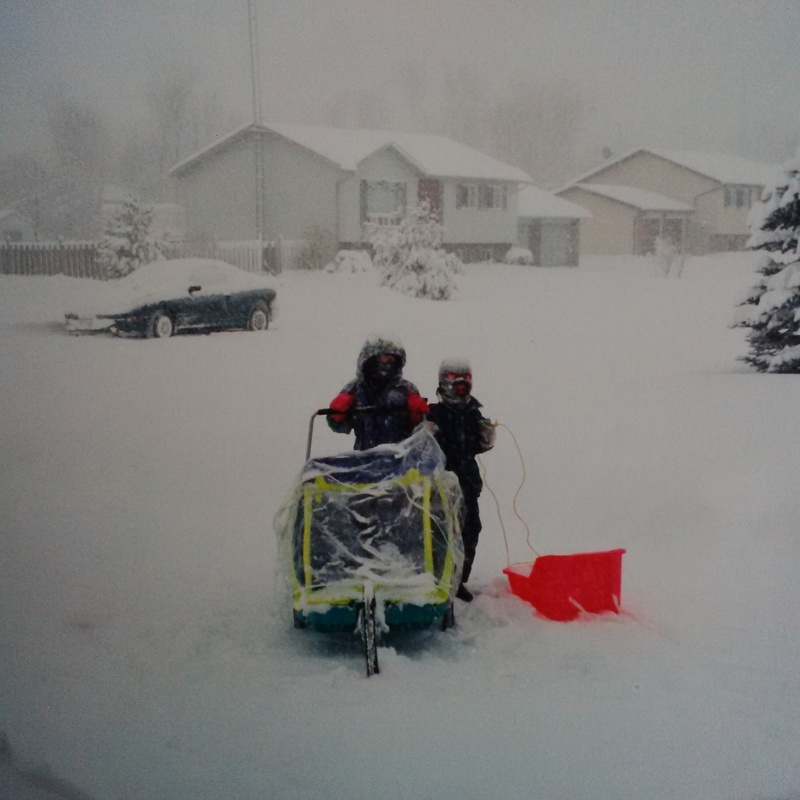 We used to get the odd flyer from neighbourhood teens offering their services of shovelling snow in winter or cutting grass in summer, but there hasn’t been anything like this in 15-20 years. I always wanted to grow up on a farm as a kid. Of course I had no idea the hard work involved in farming but being around those animals would have been heaven for me. Until I guess it came time to eat some of them but those are good lessons to learn to. I feel very blessed with my upbringing Carl and that my parents did their best to instill good values. It sounds like you and your wife did the same with your kids and should be very proud. Hope your weekend is going well too! I loved growing up on a farm. A lot of hard work, but nothing quite like it. I love animals myself. Each year I would train a young steer or heifer and show them in the local fair. Over the summer there was a lot of bonding that would take place, and eventually with the harness the animal would walk right with you. I often would end up under the canopy of this big oak tree, lie down and have a sleep. I never tied my cow up, and he or she would never wander off, but just graze the grass around me. After the fall fair my cow went to the market, and I knew EXACTLY what that meant. It was tough on me. Ouch Carl, I can’t imagine how tough that was. You treated them well though before they were sent off, that means a lot. Thank you Tricia, I REALLY appreciate this. You are such an encourager! Sorry for the typos above, sigh….I meant to add too that I loved your photos, especially the of you and your son as a baby. Cool! I loved this post and that bike! I had a purple one – it was a hand me down, but I still liked it. I also had a paper route for a bit while I was in university. I essentially got paid for walking my dog – that’s how I looked at it anyway! We have a weekly paper up here and kids deliver in town. We had a rural paper boy a few years back but they moved. He was the best. He’d ride his little dirt bike around the neighbourhood delivering and in the winter he’d snowmobile but more often his mom drove him. I’m sure my tips paid for a pretty nice bike. Thank you so much Angie for reading and sharing such a generous comment. Loved reading how much respect you showed the rural paper boy in your area. I imagine you made a HUGE impact on that boy’s life. Paper routes can sometimes be a thankless job, but we had one neighbour (and still a neighbour after 21 years) who was extremely generous with my kids with tips and treats. The impact it made was really big, so much so that many times they would go home from school and deliver the one paper for the neighbour right away, come back and then roll, bag and deliver the other 35 papers. What a great way to walk your dog while in university…why not? Such a beautiful reminiscence. What an amazing wife you have! I love that your whole family experienced the paper route. There was a family in my neighborhood when I was growing up that had at least 6 kids (maybe more?) that ranged in age. The oldest had the paper route first and it went through each kid in turn. We just got hit with almost 30 inches of snow (a very big storm for the DC area), and it reminded me of being a kid and making money by going door-to-door with my brother and offering to shovel people’s walkways for them. We really made a lot during the winter of 79 when there was a storm even bigger than the one we got this weekend! I have been reading about the big storm in your area on the news. We often have different weather systems that hit in Central Canada, and sometimes we get effects from the same storm. This storm you are experiencing Kim missed us up here. Hoping everyone is safe and warm, 30 inches is a lot of snow in one storm. What an amazing way to earn some money from the ’79 storm. I am sure the people would have been extremely grateful to have their walkways shovelled for them. I would have been about 20 or 21 back in 1979, and I vaguely remember that storm here in Canada as well. It is wonderful to read your story and remind myself of all those days. Ahhh Sahasra, thank you so much for your beautiful comment. No need to feel ashamed, it is just what you know and were familiar with. Each family unit is different. And that is the neat thing when the day comes when you have your own children, you can choose the path how you want to raise your own family. I always love your comments. You share so vividly and descriptively , and I can picture the early morning mist and your heart fluttering when the paper boy comes around at 4:30 AM. I do remember childhood crushes myself and how powerful and real they were at the time. But they do pass. And I am so excited to read there is still personal paper delivery in India. It really is a great way to learn responsibility and earn some money along the way. Thank you so much for taking the time to read and share such a beautiful detailed comment. Thanks carl. 🙂 My waits weren’t entirely for the boy, we had a program at school where we had to read news everyday. I loved reading out to people and always wanted to be armed with fresh news and so waited out for the paper before some elder snatches it. 🙂 The crush was a gift. :p yes, childhood crushes were such beautiful things. Amazing, and I love your passion to excel and be the person with that fresh news to read out!! What a lovely post – nostalgic and sweet and yet with some really good hard questions. Why don’t kids do paper routes any more? I know they don’t here in the Boston area, in the suburbs. And I’m afraid I agree; it seems that most children are just ‘given’ things they want, so they don’t learn the value of working hard to earn something. My kids all had chores to do at home, and by the time they were 13, were expected to get a small summer-time job. Their first jobs were as camp counselor aids – first volunteers, then paid when they turned 15. Me? Babysitter, of course. But I loved earning that money (babysitting is no easy feat) and I learned a lot about kids and about parenting in those homes. Once I turned 16 I was hired as a summer lifeguard, and I loved that job! Your post is so thoughtful about parenting as well as how fast our children grow up. And I must say, I have such respect for your wife, becoming a ‘paper girl’ so your kids could step in when they turned of age. Thank you so much for dropping by, reading, and sharing your very valued thoughts. What a tremendous experience for your children to be camp counselor aids and then counselors. Growing up on a farm, I never experienced camp as a child. But when I was 26, I did help out at a summer camp, and saw how much a powerful impact camp leaves on the lives of children. Babysitting is certainly no easy task, and each home environment is different., different routines etc. You would indeed learn a lot. And yeahhh, you are the 2nd lifeguard in the comments. What an EXTREMELY important job. Growing up on a farm I never learned to swim, and my exposure to water was to go to the shallow part of a beach once a year. Just as an aside, my daughter’s years as a camp counselor from early to late teens were instrumental in helping her become an incredible middle school teacher! This is AMAZING. My kids have been involved in church day camps in the summer during their teenage years (1st 2 or 3 years as a volunteer assistant) and then they got some pay, much like your own children. I have always thought a paper route was nostalgic and cool! Unfortunately where I grew up people got shot on paper routes heh. Absolutely loved that photograph of you and your baby Carl.. How time has flown! I never really looked at paper routes to be honest – part time jobs are not really done in India. Early morning walks take me through this patch where thousands of papers and an army is sorting it out and sending them off. Greatest respect for them. But I think newspaper has gone down with e-paper being there – and I am not sure whether I am liking it. The smell of paper, fresh ink and a cup of hot chocolate makes a lovely combination! Thank you so much Prajakta. Yeah time really has flown. I was really fascinated reading about your early morning walk. The sorting was really repetitive, time consuming and labour intensive. Having helped my own children often with the sorting before the papers arrived pre-sorted the last couple of years, I have so much respect for your fellow people in India. They would likely do this daily, for hours each day. My hands would get so smudged with newspaper ink, but they do have that wonderful fresh ink smell. Except for reading blogs, some social media and a bit of news the majority of my reading is on printed paper. I much prefer this. And I also do believe the printed newspaper indeed is on it’s way out. The computer revolution really has changed our world in many ways. What a great story, Carl. Isn’t it interesting the changes in today’s children – sadly, not always for the better. As a teacher, I see so many kids who are just given everything. We joke that for some of these kids the only thing left to give them when they turn 16 would be a brand new car. Kristi, thank you for taking the time to read, and leave such a substantive comment. I really appreciated reading your thoughts and the different perspectives from you being both a mother and a teacher, as well yourself growing up.. Farming is very hard work, and on the horse farm where you worked you would know all about stacking hay in the mow. The dust, the itching, the heat, but they are memories I am so fond of. And I love how you have passed your work ethics on to your family. Opportunities are more limited living in a rural setting, but already you are pro-active (like my wife was with the paper route) to seize for children any work opportunities. Carl, I don’t know how you landed on my blog (the Gritty Pearl), but thank you. I had the opportunity to read your post this morning. What you were saying resonated, I was nostalgic really. Thank you so much Meg to drop by to read and share. There is not a population sign on our village, but I am thinking maybe 400-500 people live here. Besides working in a warehouse, I am also a lay minister of a small church in Hillsdale, and people will Google up “Hillsdale Presbyterian Church” and it is always the churches in the United States that come up. I am curious if there was a Hillsdale Presbyterian Church in the area where your family still lives. North Carolina is said to be very beautiful. Read up on this area recently, as I am considering doing an end to end of the Appalachian Trail when I retire in a few years. It may not happen, but it is always fun to plan just in case everything falls into place…lol. It has been fun to meet you. Most likely through Twitter I found you. I am not a big book reader, but I do enjoy reading blog posts, and if I enjoy a post, I don’t hesitate to leave an encouraging comment. Thanks so much Lilka. What would we do without those memories. And I TOTALLY agree about the glass bottles. Can almost taste those sodas quenching my thirst on a hot day. My favourite was called Crush Orange Soda. Not sure if it is a Canadian drink, or if it is available outside Canada. Thanks Carl. Crush was one of my favorites along with Nu-grape! I don’t think kids today have even heard of them. Enjoy yours as well! Wow what a great read! I would love know more about your family it seems like you have such a great life, your kids must feel so blessed. Your should definetley do a blog post on your kids and interview them all on their lives ! You are such a great writer but what is really begindt the stained glass window I wonder? Thank you so much for reading and for sharing such a kind comment. You don’t know how much I would LOVE to share about my family, but not just yet. My kids are quite reserved, not really comfortable into being shown off on the World Wide Web, and I do really have to respect that. They all have Facebooks and all that, and I am amazed how infrequently they are on it. They all have great friends and much prefer the old school face to face real time friendships. They take a lot after my wife (their mother) on this, who is very modest and humble. Three years ago my wife won the title “Canada’s Favourite Crossing Guard”. She had no idea the school she does crossing guard for had nominated her. They did a portfolio on her, with many, many students contributing about the powerful, positive influence she had on them. A couple months later, a complete surprise she won it. The newspaper and television crews and a lot of dignitaries were all there for the presentation. It was a HUGE thing, but I know she was not comfortable with all the attention. As a parent of four of the newest generation, this saddens me! Such a well told story. One of my sons has a bold, entrepreneurial spirit and is always trying to think of something to sell to make money. They have the hardest time saving. They want a Wii U so badly, but the thing costs $200. That goal seems impossible to my oldest. I like what your dad did to help you earn the bicycle. Perhaps I could think of something like that for Joshua. Thank you for the inspiration! Thank you so much for reading and sharing this April. It is a tough generation for your 4 precious boys to grow up into. There is so much material stuff out there, and it is not cheap. One of the many advantages of your boys being home schooled is that they would not be exposed (as much) to other classmates who have been given everything. It is interesting when you mention about saving. We have 2 spenders, and 2 savers, and I don’t know how they have come about in opposite extremes…lol. The Wii system my son has, he got used a few years ago. One of his school classmates had a system that was hardly used. We are family friends, and it was a good experience for him, as he priced out the system new, all the games that were included and what they wanted for the used system. He found he was WAY ahead buying this system, and used his own money to buy it. We do see systems in garage sales, but with this it is always “buyer beware”. It would be such a heartbreak if Joshua or my own son were to buy a system that did not work. I admire you April with your desire to instill the value of money with your children, and know you will find ways ways for them to earn money, and with the Wii system have something to work for. 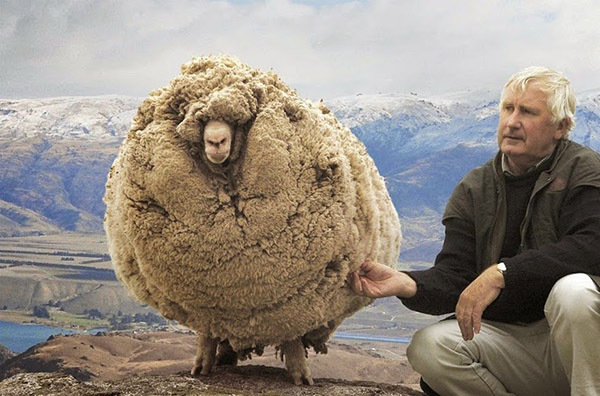 Hello Carl! I have today received a blog post which nominated me (amongst others) for the Versatile Blogger Award. As I am relatively new at blogging this comes to me as a very nice gesture and I wish to thank Claire for nominating me! That is awesome Charles. Sorry about the delay replying. Have not been on my blog much, and actually writing for my blog is the one thing I gave up for Lent this year. God bless you Charles. Have a wonderful Sunday. Thank you Carl! I wish more people in the world believed in God as you!! They definitely need it!! Thank you for your kind words Charles. I cannot even imagine where would I be without God! Without God, I’d be dead drunk/drugs and burning in Hell! I’m a lucky man!! MY BROTHER HAD A PAPER ROUTE. I GOT STUCK SELLING HIGHWAY FLARES (FOR BOY SCOUTS) DOOR-TO-DOOR. PRAISE GOD WE MADE IT…DESPITE MY NEAR TOTAL LACK OF SALESMAN QUALITIES! Thank you so much for the Reblog Jonathon. This is extremely kind of you! Great post. I love especially Your snow photos! Thank You. I just happened across your blog. I am Circulation Director in Ohio. I was once a newspaper carrier as well. I could fill up many pages with stories but wanted to offer a brief thank you for sharing this. 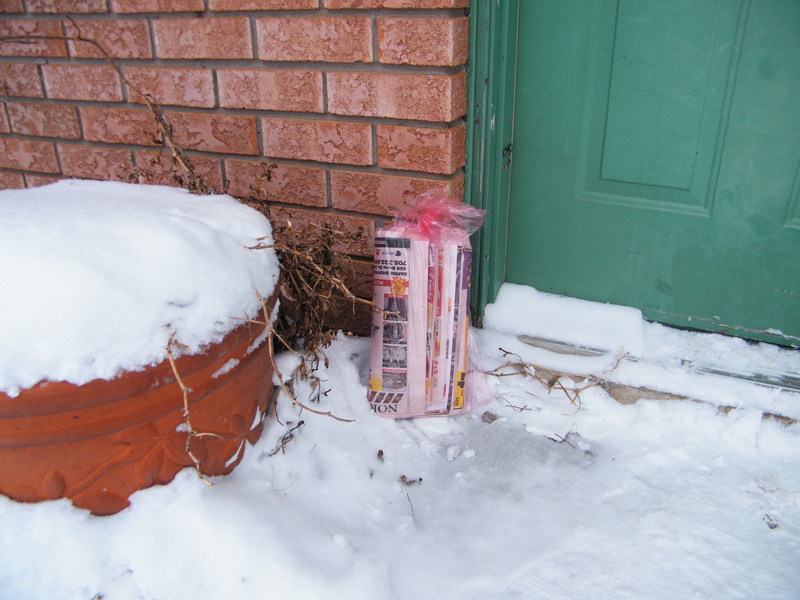 I often feel melancholy as I see the changing times in the world of newspaper delivery. Mostly adults do this work especially in the “metro” areas. We are fortunate to still have a few youth carriers at my newspapers. We do try to maintain porch delivery as much as possible but the lack of interest in may to do this work has moved us to do property delivery in some of the area villages or the edges of our city. I agree it is a sign of the changing times as less youth are willing and parents do not have the time to help their children with a route. In the U.S. many newspapers have gone to a morning delivery which makes it easy for adults to handle the time of day and still have a day job so to speak. The youth and parents find the early hours not just tough to handle but also can be dangerous for kids to be out and about these days. As a youth carrier in my day we did use our bicycles. I really preferred the banana seat to help carry the paper bag. I bought 3 different bikes with my route money. One of which I still have today. My own children and wife have all been carriers and being in the business will still lend a hand when we have routes without a carrier. Sad to say the day is coming when newspapers will be more digital and less print. The need for our industry to have people on the street is still there, but I see the end of that coming someday. I have fond memories of the days I spent doing my route as a kid. I had Sunday delivery as well as all 6 days of the week. Fortunately my Dad helped me every Sunday as the load filled up our backseat and then some. What a time that was working with my Dad. I learned how to work and to persevere as we went every Sunday for several years to get the papers delivered. We had a closer bond thanks to that opportunity. Something parents are missing out on today by not working with their children at work. The other thing I loved was getting to know so many people. Many of whom I worked with as an adult or became my customers or carriers when I took over our town’s newspaper’s Circulation Director job. Again I appreciate you sharing this and I was glad to bump across it. Rob, I absolutely loved reading this. What a precious trip down memory lane. It has been hard for me to see the changes, but how much more it must be for yourself, as circulation director. Love the fact you still have one of those hard earned bicycles. And there is nothing like a bond that comes when working with your dad.